Happy 2018, and happy Needle and Thread Thursday, friends. I hope you all had a wonderful holiday season filled with family, friends, and fun! I haven't sewn a single stitch since before Christmas, which has been weird, but my days have been filled with other amazing things, so it's all good. 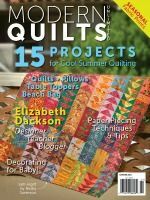 Even so, I am looking forward to getting back into the quilty groove. 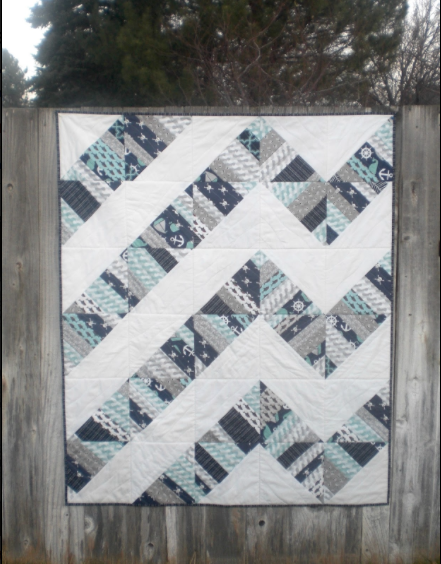 I'm also looking forward to kicking off the Classic Meets Modern BOM Quilt Along in just a few short days! 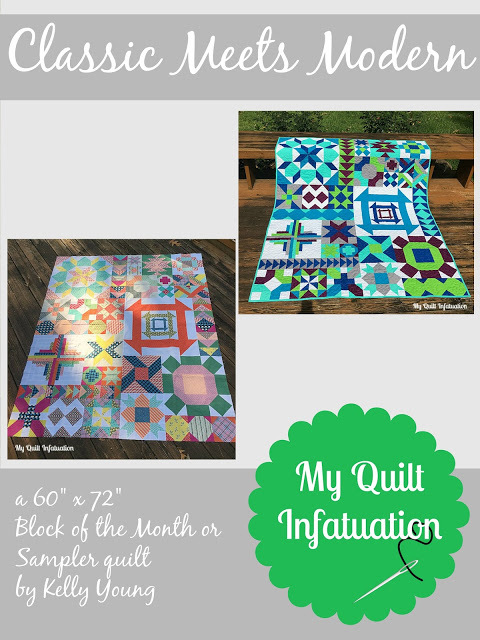 The kickoff post will be THIS Monday, 1/8, where you can link up a quick initial post to share your fabric choices for this fun quilt. So if you're still on the fence about whether or not you're participating, now is the time to jump in with both feet! The pace will be nice and easy, with just two blocks each month, and the design looks great with solids, as well as prints. I'm actually planning to make my second version in the cheerful Acreage collection, and I know it's going to be awesome! We'll have linkups every month along the way to stay motivated, and keep it fun! 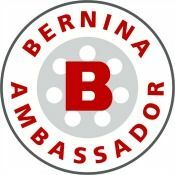 If you need even more incentive to jump on board, there are some great prizes up for grabs as well. So, what are you waiting for? 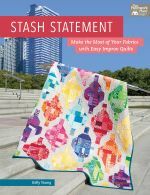 Raid your stash for some awesome fabrics (you know you have some), and hop over to my Etsy shop HERE or my Craftsy shop HERE for the pattern. It's almost time! Our very last party of 2017 feels like forever ago, but we definitely can't skip out of highlighting a few of the fantastic projects that were shared. 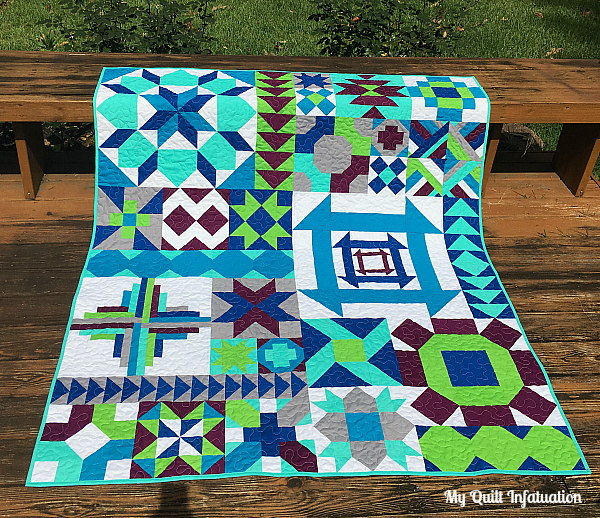 This Modern Starstruck quilt is by Christa Quilts, and the colors are just so vibrant and happy. I love this fun little quilt by Carol Quilts Sometimes. This adorable postage stamp mini quilts by Ali at Arabesque Scissors. 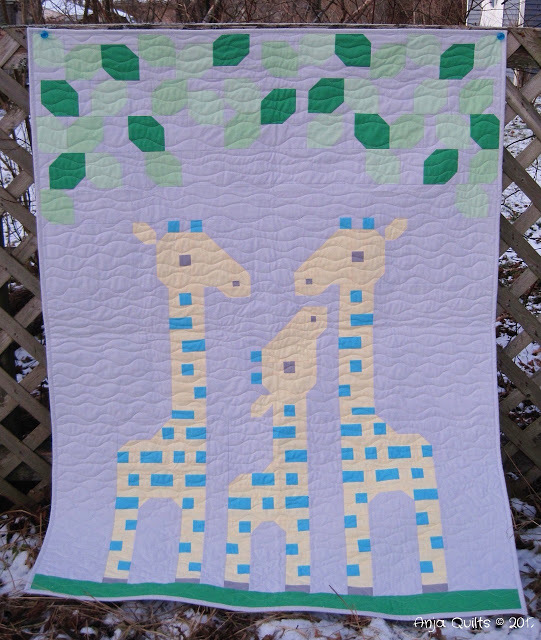 And finally, this sweet giraffe quilt was made by Anja Quilts. Alright y'all, you know the drill! Love your Acreage collection! That's going to be yummy! Excited for your QAL! I can't wait to see what people make! I'm tempted by this QAL! 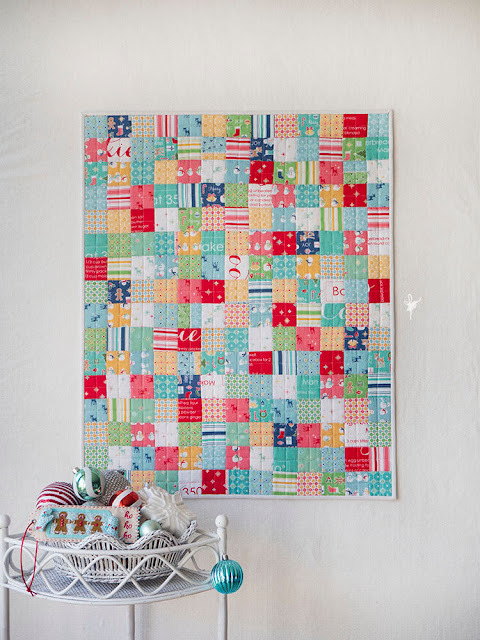 The quilt is gorgeous and your fabric picks are beautiful. 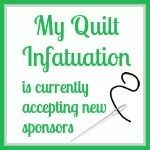 I'm sure you will be back to quilting in no time and we'll be right here waiting! Can't wait for Classic Meets Modern QAL. I'm surveying my pattern and pressing my background fabrics. 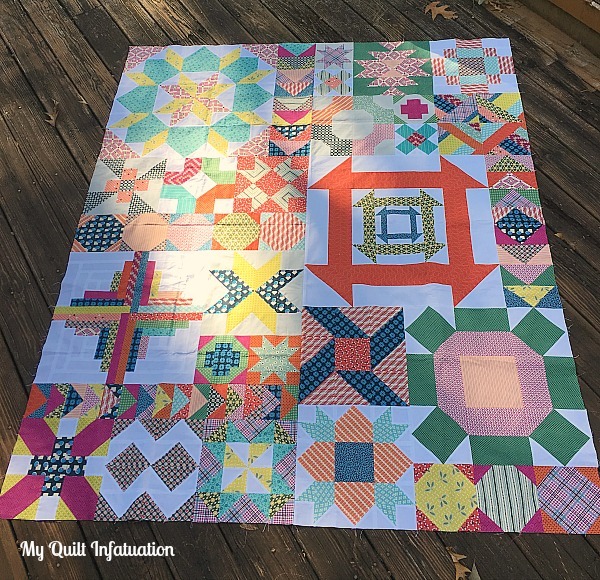 Discovered a large fat quarter bundle in my stash...(oh my how did that happen) and I'm so anxious to get cutting and piecing the first on Jan 8th. 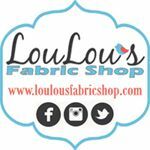 The fabrics you chose are so beautiful! 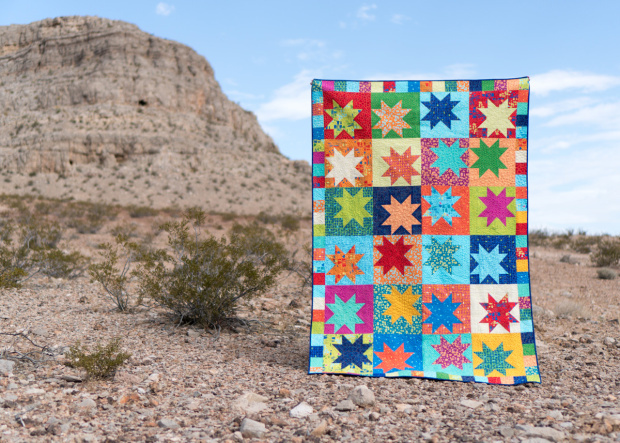 Your finished quilt will be so cheerful! You're twisting my arm....I really want to play along with your BOM. ☺ Thanks for showcasing my giraffe. It was well received by everyone, and the baby is due to arrive any day now. 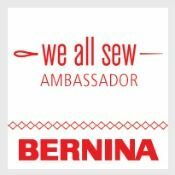 That Acreage fabric is going to look so good in you BOM. Can't wait to see it! 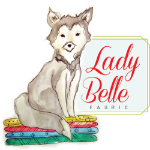 The pile of fabrics in this post is so pretty. Are you selling that in your Etsy store? Or how can I purchase them? Thank you. No- I only sell my patterns in my Etsy shop. These fabrics are the Acreage collection. It has been out awhile, but you may be able to find it in some online shops. I would just do an online search. 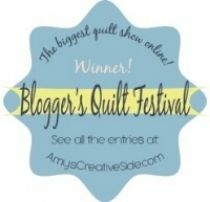 Did you see that FaveQuilts listed you as one of their top 25 quilting blogs??? 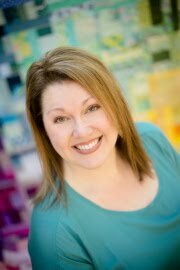 I saw it on During Quiet Time's blog, and you're on the list too!